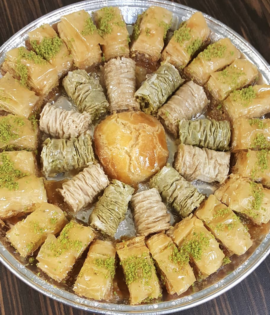 Baklawa Queen provides delicious Middle Eastern food and desserts. Their catering service is suitable for any occasion, whether it be an intimate dinner, a wedding reception, or a corporate event. Proudly serving up authentic and delicious homemade food prepared from all natural and fresh ingredients for over a decade, this family-owned and operated company is especially passionate about their famous and specialty baklawas and boreks.